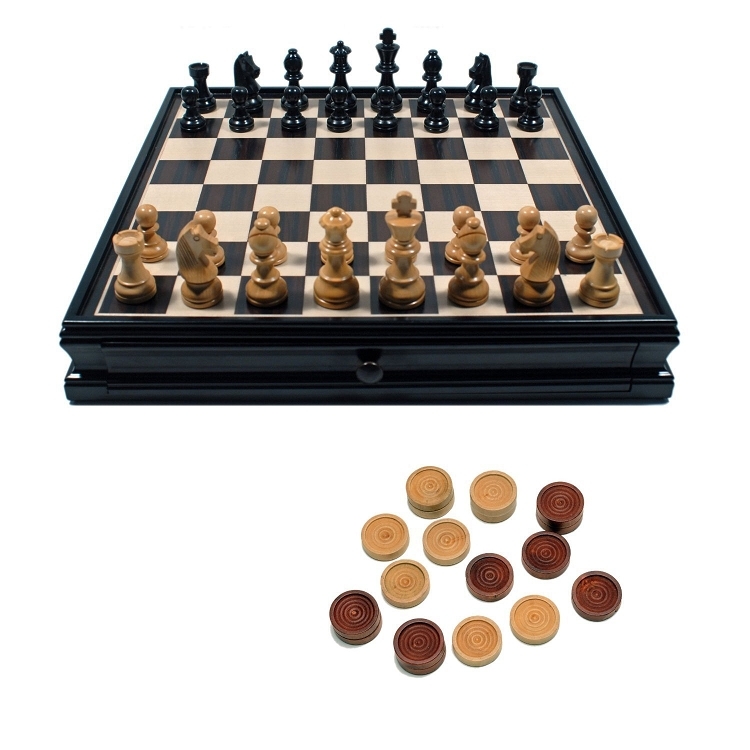 This combination Chess and Checker set is a classic and one of our most popular! What sets it apart and above the rest is the quality craftsmanship that has gone into the making of this board and its pieces. 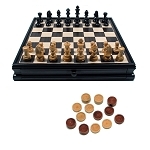 The grand walnut board has two felt-lined drawers for storing both the chess and checkers pieces and it boasts some lovely decorative inlay on the face of the board, at the borders. 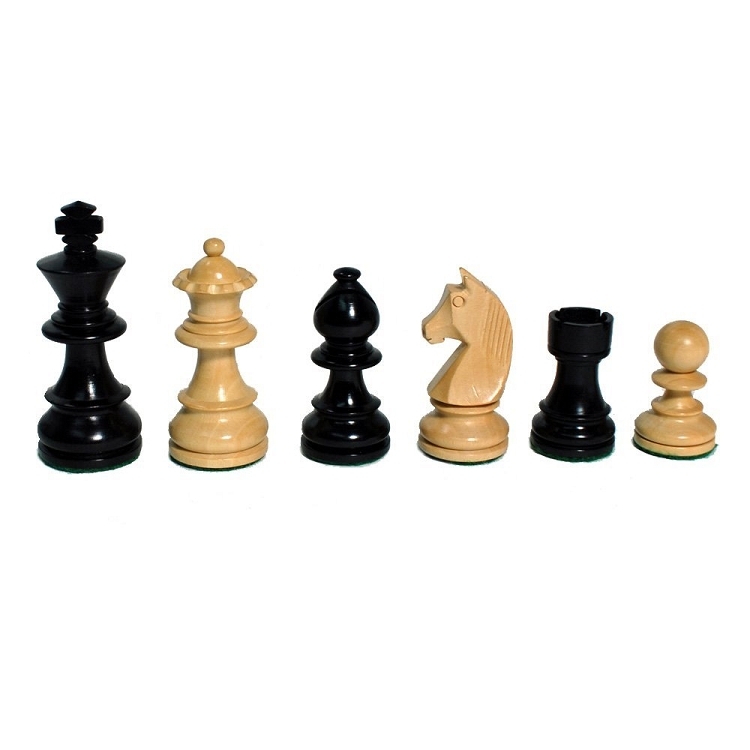 The heavy chess pieces themselves are hand carved in the classic French Staunton design out of Sheesham and Kari woods and their polished luster will only improve with use. It comes with a set of checkers pieces as an added bonus. The smart design insures that you can store everything within the confines of the board's body neatly and securely but the set is so beautiful it is more likely that you will display it in your home, ever ready for a great game! Beautiful craftsmanship guarantees years of enjoyment. About Wood Expressions Inc. Wood Expressions has been manufacturing, importing, and distributing games from around the world for over 30 years. 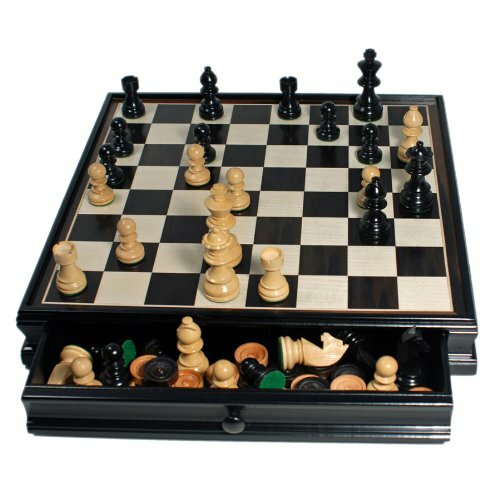 Though chess is its specialty, it also carries many other beautiful games such as backgammon, cribbage, dominoes, Mah Jongg, go, antiquity games, Mancala, Sudoku, and many more. 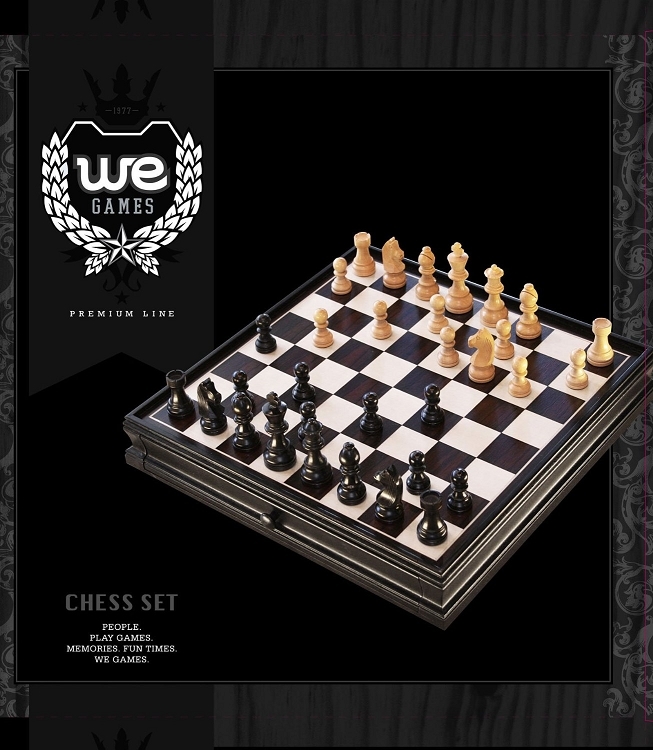 The company is constantly searching the world for the best in chess and other board games.